Ever thought of calling to your friends or relatives living abroad but stopped right to the moment when you realized of the high call rates to be applied? The distances seem to actually get longer when you no longer are in contact with the person. Online chatting or video calling surely gives you a way to connect, but it is not a satisfactory solution to the requirements. It is not usual for one to be online at the same time when the other person is. But for now, give a break to your worries as a new product has hit the market which has the potential to serve for this purpose. Comfi Call International is the new android app available on I pad and I touch. However, currently it is available only for US customers. It not only gives you an easy way to connect but rather very cheaper. The charges are less than your local call rates. You get a free $1 in your account balance when you install the application which can be accounted for about a 1 hour talk time. 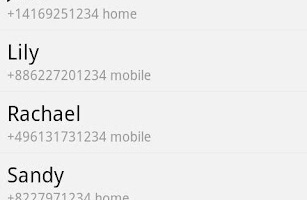 The app automatically integrates all your contacts from the contact list. So, there is no need to import contacts. 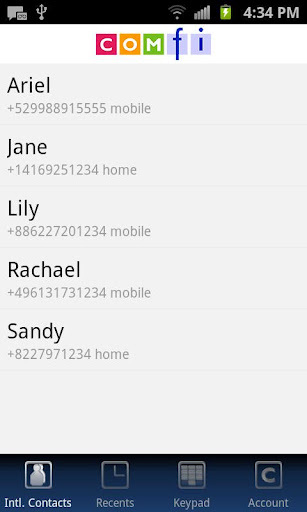 Also, you can add a new international contact just by dialing the number. You can add credits to your account anytime just with a click using your credit card or you can activate auto refill to automatically add credits to your account after a regular interval. But it seems to be quite indifferent as to how it offers such low rates. The idea is simple. To each of your international contacts, the application automatically assigns dedicated US numbers and saves it in your address book under a Comfi label. So, every time you dial a newly assigned Comfi number, they automatically connect you to your international number at a cheaper rate than your corresponding service provider. So, there is no need to open the application every time to make a call. Rather, you have to just dial that number and the application automatically connects. There are many innovations in this application which differ it from other similar apps like Viber, Skype, etc. 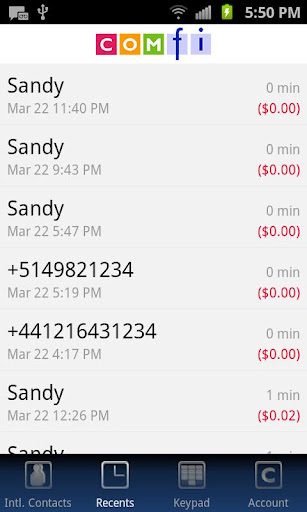 The call rates of different locations are integrated within the application. So, you don’t have to move around to check the call rates for each different friend you want to connect with. You can check your balance anytime. 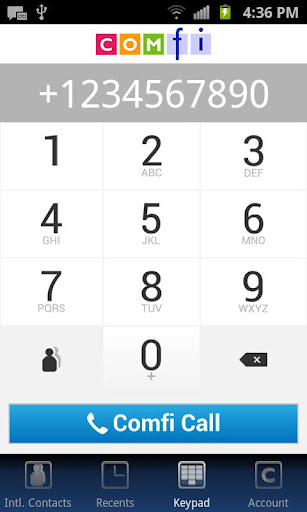 Also, you can save a newly assigned Comfi number to your favorites and use as a one touch dial. The easy to use interface makes the process a lot quicker and simpler. However, the call rates are a little bit on a higher side than the others similar apps. But it can be over shadowed with the voice clarity and the customer care services which you might not be available in all the other apps. So, there is no question that this app is user friendly and you will not be disappointed at all.